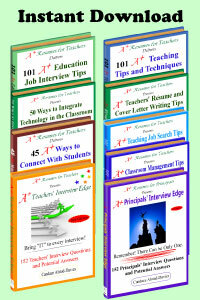 Are you looking for modern tips for writing teacher resumes to land the perfect teaching job? Look no further for best resume writing tips for teachers. You will find plenty of help in this post to guide you through this challenging and vital project. These top tips for writing an education resume or CV will help you every step of the way. Writing an education resume for 2019 is different from previous years. The readers’ expectations have increased regarding resume content and design. Many education job seekers feel overwhelmed or insecure about their resume writing ability and skills. Rightfully so, writing teacher resumes that land interviews will take knowledge, patience, and top-notch word processing expertise. It’s an art, and it takes an enormous amount of time and know-how to create the perfect resume. Take the time to research how to write a resume for a teaching job to ensure you get noticed and be granted an interview. 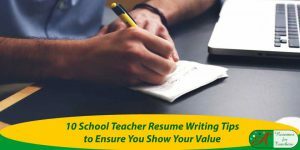 If you are not a teacher but require resume writing help, check out this in-depth and impressive post on executive resume writing tips. Did I present my teaching skills effectively? What if I left out the wrong information? Does it look organized, is there enough white space? Are the keywords included properly? Did I handle the gap in my employment in the best way? Are the accomplishments listed relevant to the teaching position? 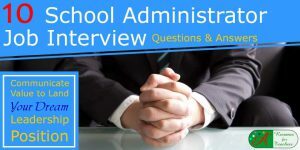 Is there enough information to get a teaching interview? 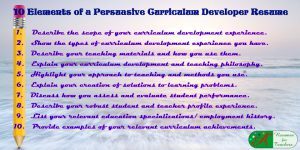 Should I include the dates of professional development? Your resume is your calling card – it’s your best advertisement. Getting the resume right is essential because if you do not feel confident about the resume you wrote for the dream teaching job, you will not feel 100 percent confident in the interview. 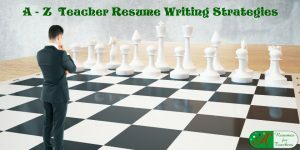 As a teacher resume writer and career coach, I know what works and what doesn’t work when it comes to writing teacher resumes. 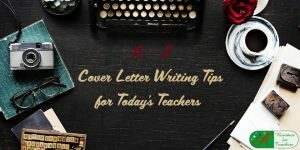 These A-Z education resume writing tips for teachers were developed to give you the confidence to help create your teacher resume. Once you have followed these strategies from A to Z, you can be confident your resume reflects the current knowledge and practices of what makes a strong teacher resume. Don’t worry, if you are not a DIY (do it yourself) kind of person, you can always hire us to put your education resume and cover letter together. We would love to help you. All effective teacher resumes have an area of expertise, core competencies, or key teaching skills section. This significant segment is guaranteed to set you apart from the competition. Focus on critical skills that are needed to succeed in the job you are targeting. 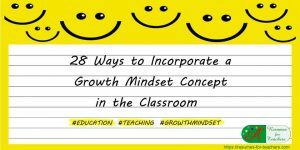 Examples include classroom management, student motivation, parental communication, differentiated instruction, and reading strategies. Make sure your areas of expertise are focused on the grade level or content area. If you are a primary teacher, ensure you use relevant skills for teaching primary students not high school students. Of course, there are teaching skills that do overlap between the two levels. You can decide if this addition is for you. Incorporating borders in your resume can showcase organized facts and draw positive attention. You can include a visually-appealing border around your whole resume, as well as thinner border lines to separate different sections. Always remember, teacher resumes need to look professional; don’t use hearts, smiley faces, or other inappropriate icons. C: Contact Information – Is it Correct? It may seem obvious that teacher resumes need contact information. It would surprise you how many candidates forget to include some or all of their contact information on their resume and cover letter. At the top of the first page of your resume, be sure to include your full name, address, phone numbers, and email address. Triple check this area to ensure there are no mistakes! It’s incredibly important that you double check your resume for any spelling or grammar mistakes. Nothing looks worse on a job application document than someone who either can’t spell or doesn’t know to use spell and grammar check. By submitting mistake-free documents, you will let the potential employer know that you are detail-oriented and take the time to get the job done right – something they will be looking for in their prospective candidates, regardless of the position in question. If you have recently completed your education, possess a master’s degree or higher, or recently completed your teaching certification, then your education section should be placed before your work experience in your resume. If your degrees are unrelated to teaching, or if you have not been in school for many years, then you can place your work experience before your education. When listing your relevant education accomplishments, it is best to provide either an exact or approximate number to emphasize the impact of the achievement. For instance, if you have secured a grant, how much did you receive? If you decreased absenteeism, by what percentage? I know, sometimes you don’t have numbers or percentages – that’s okay. Quantifying relevant achievements in teacher resumes is one of the most valuable education resume writing tips we can pass on. Address any gaps in employment that you may have. If you are currently out of the workforce and have been for an extended period, you may need to explain why. Perhaps you suffered from medical issues, experienced a family crisis, welcomed a new addition to your family, were traveling or were going to school. Let the reader know that yes you were out of the workforce. Communicate you are now enthusiastically ready to commit to a position and the school district. Some of the details are best to mention in the cover letter, while others during an interview. Knowing what to include about the gap and what not to include is important. Furthermore, the wording of the gap in work history is critical. Really, it is. Under your employment history, after you’ve listed your job duties under each position, add some bullet points for your key accomplishments achieved at each post. Achievements can include an increase in student grade point average, reduction in absenteeism, securing a grant, an increase in grade level of a few at-risk students. An important teacher resume tip is to make sure to describe how you achieved these accomplishments. Ask yourself these questions. What was the challenge, what action did you take, and what were the results of your efforts? We call this the C.A.R. approach to uncover achievements. One of the most critical resume writing tips for teachers is to implement the process of finding and effectively communicating related job achievements. At the top of your resume – after your name, contact details, and job title – there should be an introduction or professional profile or summary. Teacher resumes should include this short paragraph or list of bullet points that will introduce your critical skills, experiences, and the value you would bring to a school district. You may wish to include your years of related experience, foreign language expertise, love for collaboration, and a talent for assessing and solving problems. This section should summarize your top points – unique value. You don’t need to devote an entire paragraph to each job description. Anywhere from three to six lines should be enough to explain relevant job responsibilities. The length will depend on the position and how relevant it is to the targeted education job. When describing past job responsibilities, prioritize those which are the most important and identify those that you can leave out. 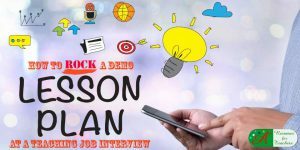 Scan job ads and teaching descriptions for keywords to incorporate into the resume you are writing. If they state in the posting that they are looking for someone with particular qualities and credentials, and you have them, make sure you include them in your resume and cover letter. Evaluating job ads will also give you a good idea of whether or not you may like or be suited for the position. White space is the key when designing anything visual, even when it comes to job application documents. Using white space appropriately is fundamental if you wish to create an eye-catching resume. Whether you are a new teacher or a veteran with lots of experience, you have value to offer – you need to communicate through marketing the benefit you provide. Some new teachers assume that school districts are looking for someone with experience – this is not always the case. Many school communities are looking for fresh, new minds who can help bring creativity, innovative ideas, and student-focused activities into the classroom. It is highly discouraged to use “I” or “me” in your resume, or “my” or “we”. These pronouns detract from your primary attributes (e.g., empathetic, energetic, dedicated) and actions (e.g., increased, improved, motivated). By excluding these words, your introductory paragraph may seem choppy, and you will probably get a grammar error stating that it is a fragmented sentence – ignore this error for a more impactful resume. Teacher resumes that get results will need an organized outline. An education resume should include job title, professional profile, areas of expertise, training and credentials, work experience, and additional information (professional development, professional affiliations, community involvement, computer expertise, honors, and awards. By integrating all of these areas, you will ensure that you have touched on all the relevant points that a potential employer is looking for in a new teacher. It is essential that potential candidates convey certain qualities and let their personalities and passion shine. All school districts are looking for individuals who are passionate about teaching, driven to succeed, can think outside the box, committed to helping the school community succeed, interact well with others, and convey their ideas creatively and concisely. Writing a cover letter to show passion and personality is also a critical component of a successful job search. Integrate a few quotes from past principals, colleagues, or parents into your resume to show school districts what a great teacher you are. Quotes and testimonials in your resume allow the reader to see how you have applied your skills in the working world and read about accomplishments that other employers felt were noteworthy and can provide examples as evidence of achievement. Research the school district to find out their philosophy, mission, values, and goals. Use this new information to adapt your teacher resumes accordingly. You will have multiple versions as you tailor and tweak them to postings. Understanding what they need, want, and hope to accomplish will not only help you decide whether or not you want to work for this school district, it will also aid you in surpassing your competition. The job of your resume and cover letter is to sell yourself to employers. Your resume must look and sound appealing to market yourself effectively. Foremost, you need to make sure that you come across as a desirable teaching candidate. To start selling the product, you need to create a convincing advertisement which describes the benefits of purchasing. Just like the packaging of a product attracts the attention of a shopper, your resume and cover letter must catch the interest of the reader. Teacher resume templates or resume builders should be avoided. If you do decide to use a template, make it your own. Don’t use the wording you found in someone else’s resume. Play with the font, borders, spacing, to make it an eye-catching resume. Assessing job advertisements is a good first step to understanding your audience and discover what they are looking for in a new hire. You can then write a targeted document that will capture their attention. However, do not rely exclusively on a job ad. Search the Internet for the school district’s website and identify the unique attributes they are looking for in new teaching candidates. Teacher resumes, like any resume need to be eye-catching. The appearance of your resume and cover letter speak volumes about the person writing it. Use a crisp format, attractive design that looks like its rightful place should be in an employer or hiring manager’s hand. Read about 10 ways to format a visually appealing education resume to land interviews. This section will be the meat of your resume. You can title it ‘work experience,’ ‘teaching experience,’ or ‘related experience’. This is where you will list the places where you worked, as well as the location, dates employed, and your job title. Next, lay out your job responsibilities in a concise manner, followed by your accomplishments in each role. If the work experience isn’t relevant, you would not elaborate on that employment. WOW! What an old word. Of course, don’t use photocopies of your teacher resumes and cover letters. Each one should be printed out on a top-quality resume bond paper. Ensure your resume for a teaching job is ready to go. There are many reasons to keep your resume updated at all times! If someone asks you for your resume, and needs it by, “Oh, yesterday” – meaning RIGHT now – you need to be prepared. Ensure you have a completed resume ready to send via email or in person in the form of a stellar visually appealing document. Lastly, but not least among all the education resume writing tips, make sure your resume is filled with intense enthusiasm and zest for your career. Principals hire teachers who show passion for teaching. Stating you have passion is not enough. Share evidence of your achievements motivated by your love for teaching. This proof will demonstrate to prospective employers that, if you did it for another school district or organization, you could do it for them. 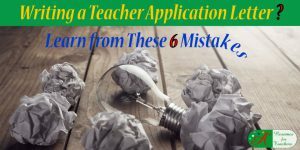 Most job seekers spend a lot of time and effort on researching how to write teacher resumes that get results. Having a top-notch resume will save you countless hours and frustration during your job search. It is worth energy and effort to get it just perfect. What if I told you that, instead of spending countless hours trying to figure out what keywords to include, what design is correct, how to uncover and write accomplishments, and create passionate cover letters, you could hire me! That’s right; I can take away all your stress, frustration, and hours of work trying to figure out the job search maze. 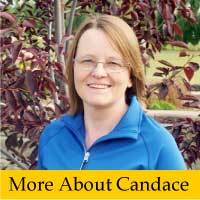 Candace is just a click away or a phone call – toll-free: 1 877 738-8052 or International: 780 513-0010. Or, of course, you can review our packages and pricing to get the resume help you need.